This book asks the fundamental question of how new human rights issues emerge in the human rights debate. To answer this, the book focuses on nongovernmental organizations (NGOs) and on the case study of LGBTI (lesbian, gay, bisexual, transgender and intersex) rights. 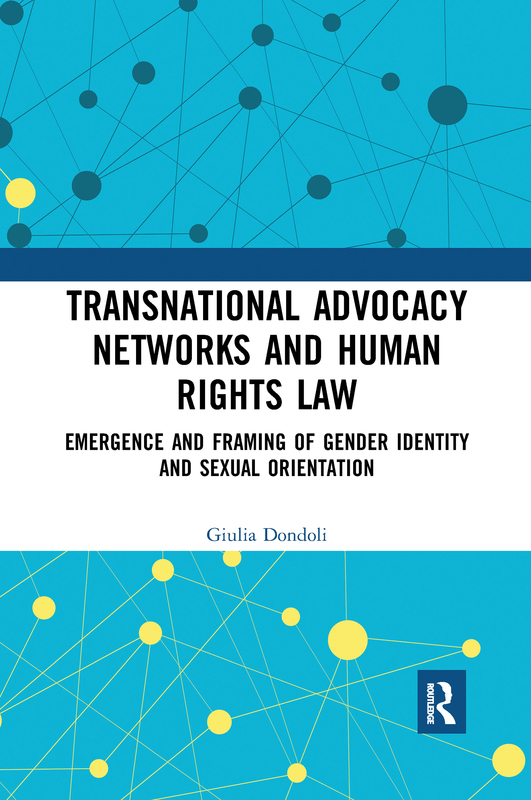 The work argues that the way in which NGOs decide their advocacy, conceptualise human rights violations and strategically present legal analysis to advance LGBTI human rights shapes the human rights debate. To demonstrate this, the book analyses three data sets: NGO written statements submitted to the United Nations Human Rights Council, NGO oral statements delivered during the Universal Periodic Review and 36 semi-structured interviews with NGO staff. Data are analysed with a combination of quantitative and qualitative approaches to discover what issues are most important for LGBTI networks (issue emergence) and how these issues are framed (issue framing). Along with NGO efficiency in lobbying for the emergence of new human rights standards, the book inevitably discusses important questions related to NGOs’ accountability and democratic legitimacy. The book thus asks whether the right to marry is important for LGBTI advocates working transnationally, because this right is particularly controversial among activists and LGBTI communities, especially in non-Western contexts.